Dare to Dream is a unique, NYC-based company specializing in small, pop-up, and micro weddings. Even with the smallest of budgets, we can bring a taste of luxury to every client looking for a Central Park wedding. 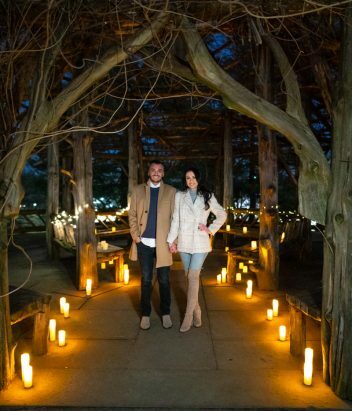 Our Central Park wedding planner has planned and organized more than 100 micro weddings in the last three years. Her main goal is to create a luxury, stress-free wedding experience for every client. 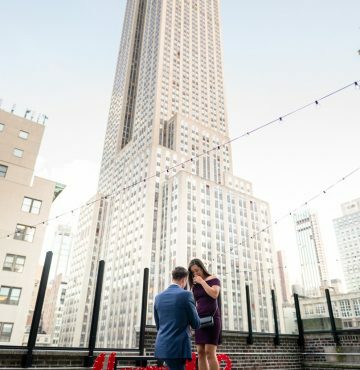 Our Central Park wedding packages are the perfect solution for couples looking for an intimate, private ceremony in the most picturesque place in New York. Our all-inclusive, wedding and photography packages offer extraordinary value with the added bonus of our specialized photography team, led by Vlad Leto. There is nothing for you to do but relax and enjoy your special day at Central Park, as our team handles the rest. Go ahead, dare to dream big. Dare to Dream offers bespoke, personalized Central Park wedding packages to help you create the wedding of your dreams. As an NYC-based company, our expert team is well-versed on park regulations and knows all of the best secret locations, from charming hidden gazebos to romantic bridges. Our all-inclusive Central Park elopement packages vary from an intimate exchanging of vows at Wagner’s Cove to a spectacular Bow Bridge ceremony. 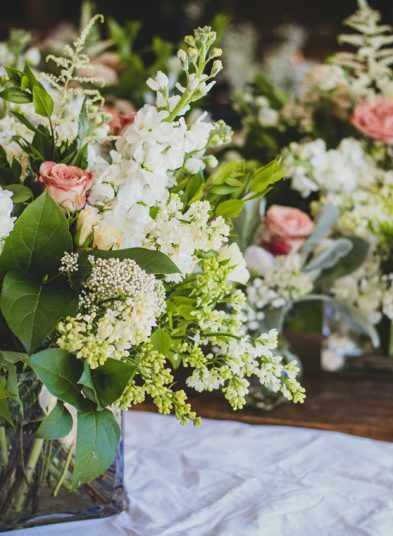 Dare to Dream takes care of the many small, complicated details that come with planning a wedding, leaving you to worry about nothing other than enjoying your special day. You have dreamt of your perfect wedding day, but you never dreamed you would be stressed out during it. You deserve to enjoy your special day and have the best time of your life as you marry the partner of your dreams. Let Dare to Dream make your dream a reality and take the stress off of you. We will make sure your guests enjoy a wonderful time and your wedding pictures will be breathtaking. After a brief Skype session where we will discuss all of your wedding preferences with you, we jump right in and start the planning process. We will present you with the idea/location/cake options and listen to your feedback. We want this day to be as perfect as you do. Now all you have to do is be excited. We take care of everything! Including the venue, transportation, officiant, flowers and the cake. All you need to do is just show up! 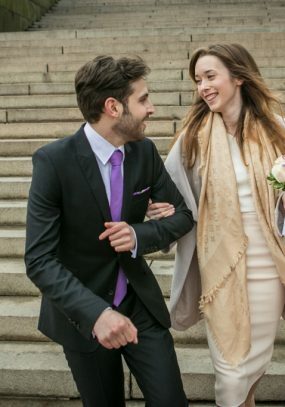 What are the best places for a wedding ceremony in Central Park? To make the right choice for your Central Park wedding you need to keep a few things in mind: Do you want it to be private or public? Do you want a city view? Do you need to have seating? Do you want to have live music? As an NYC-based company, we know Central Park extremely well, so we’ve created a comprehensive guide to planning a Central Park wedding in NYC. 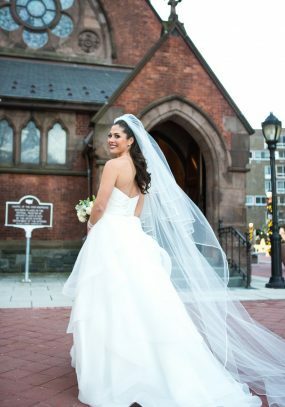 The biggest park in New York City is also one of the most popular and picturesque places to plan a wedding ceremony. Central Park extends from Midtown all the way up to 110th Street, bordered by the Upper West Side and Upper East Side. From charming little bridges with scenic city backdrops to secret garden gazebos, Central Park offers a little bit of everything. With help from Dare to Dream, you will certainly find your ideal space. Wagner Cove– Wagner Cove is a small pavilion located down a short staircase, just by the Cherry Hill Fountain. This very secluded spot is right on the edge of The Lake, with a small, rustic pavilion shelter with just two benches. Wagner Cove is surrounded by lush trees and natural beauty. 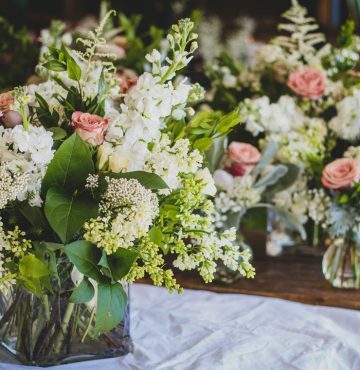 Our Central Park wedding planner suggests limited decoration like twinkling fairy lights or simple floral arrangements; this secluded space is beautiful for an intimate wedding on its own. Cop Cot– One of the oldest structures in the park, Cop Cot is one of the most popular for dreamy Central Park weddings in NYC. The gazebo is located near the entrance of 59th and Sixth Avenue, just up the hill. It has a round shape and bench-style seating all around. During the summer the gazebo is covered in green vegetation, providing shade and cover from the rain. The Dene – At the end of a beautifully-landscaped meadow is The Dene Summerhouse. This charming gazebo is a hidden gem, perfect for an intimate Central Park wedding as it is quite secluded and rarely discovered by tourists. The Ramble– Within Central Park’s lush woodland are 38 acres of winding pathways known as The Ramble. There are many small and hidden places to choose from within The Ramble, but our favorite is a small dock right by the pond. Shakespeare Garden – Surprisingly less-visited by tourists, the Shakespeare Garden is one of our team’s absolute favorite places for a wedding in Central Park. This beautiful place is quiet all year-round, with stunning flowers in bloom and trees providing shade. How many guests are allowed for a wedding in Central Park? When you are looking for Central Park wedding ideas, you must keep in mind that hiring a live band might not be possible. As a general rule, there is no amplified music allowed in Central Park. Similar, strict rules also apply for chairs and any other decorations. If you are planning to have more than 20 people, you might even need a permit in order to have additional seating. 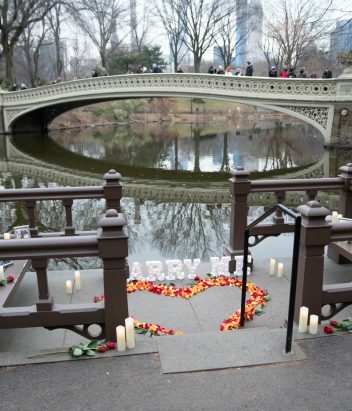 Central Park wedding costs can vary in price, depending on what you want to have. In general, you don’t need a permit to get married almost anywhere in a park, though it is a good idea to have one for the most popular spots, just to secure your place and ensure a smooth day. The only exception is the Conservatory Garden, which requires both a wedding and photography permit. If you are interested in a Central Park wedding in New York there are a few locations which offer particularly stunning views for photos. Bow Bridge (also known as the Love Bridge)– This area might just be the most photogenic place in Central Park, largely due to the surrounding Victorian architecture and lush scenery reflected in the lake below. Countless romantic movies have set scenes here, making it a popular place for lovers to gather. You may need a permit to hold a ceremony on the bridge itself, so we recommend the little wooden dock nearby, giving you a bit more privacy with the iconic Bow Bridge as your background. Gapstow Bridge– One of the best views of New York City’s skyline makes Gapstow Bridge a perfect spot for a Central Park wedding. The bridge is located near the 59th Street and Fifth Avenue entrance, just by the ice skating rink in winter. Cat Rock– The very best skyline view in Central Park is from Cat Rock. 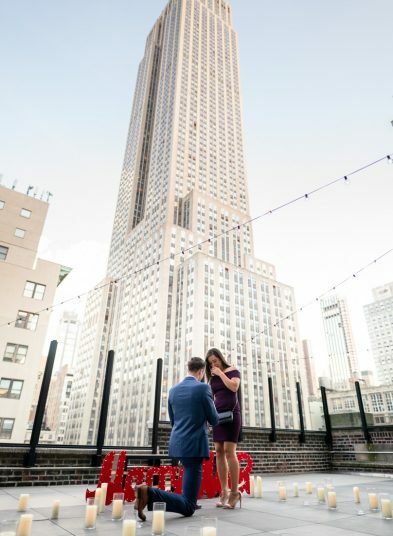 If you don’t mind a tiny bit of climbing, you’ll be rewarded with the most stunning New York City view as the backdrop for your Central Park ceremony photos. Cat Rock also overlooks the Wollman rink, which fills with ice skaters in the winter. Turtle Pond and Belvedere Castle– Our central park wedding planner highly recommends Turtle Pond and Belvedere Castle for ceremony locations with a great view. It can get a little crowded here during the day and on a weekends, so we suggest a morning ceremony in order to have the place to yourself. Ladies Pavilion– This elegant, ornate, Victorian pavilion is just by the lake and offers some cover and seating for up to 6 people. Its dreamy, tropical surroundings look even lovelier in the rain, making the Ladies Pavilion an excellent spot for a covered wedding. There are also two nice restaurants in the park, which you may consider using for a small reception after the ceremony. The Loeb Boathouse and the Tavern on the Green are both ideal for a small celebration with friends and family after your Central Park wedding. If you are specifically looking for a Central Park wedding space with more seating, we recommend Cop Cot, the largest gazebo in the park, which can fit 10-15 people comfortably seating. The Ladies Pavilion is small, but can accommodate 6 people seated, with cover. The Dene shelter also has a few benches inside, perfect for a small ceremony. Central Park wedding ideas vary from an intimate wedding ceremony to a bigger one with live music and seating. 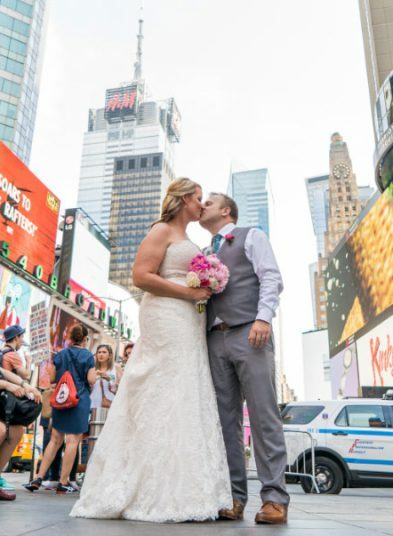 Our professional Central Park wedding planner knows all of the park’s hidden gems and can help you choose the perfect place. How Far is Central Park from City Hall? 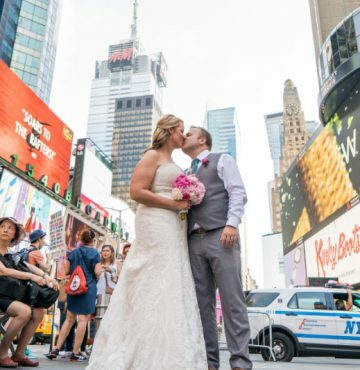 Dare to Dream also offers a number of Central Park wedding packages, including our popular City Hall and Central Park combination. Get married at City Hall then enjoy a beautiful photo session and wedding celebration in Central Park. How far is City Hall from Central Park? It will depend on traffic, but in general, no more than 30 minutes, either by train or by taxi. 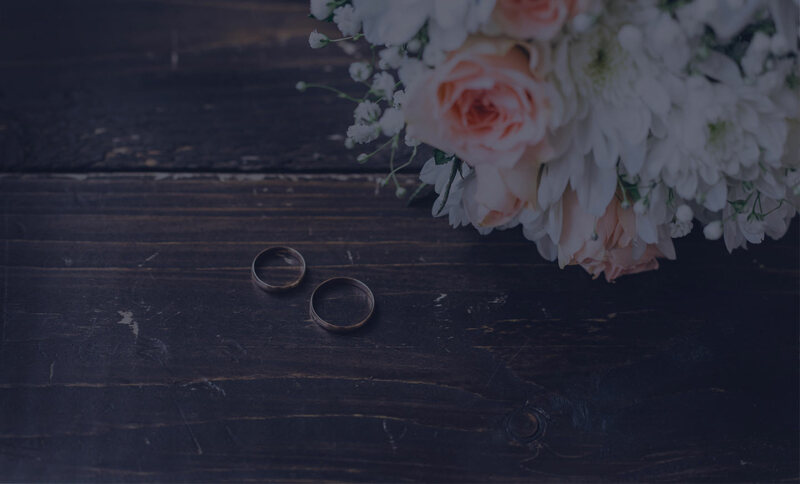 No matter what your vision or budget entails, our Central Park wedding planner will take care of all the details, ensuring you and your partner enjoy the best day in your lives without any stress or hassle. 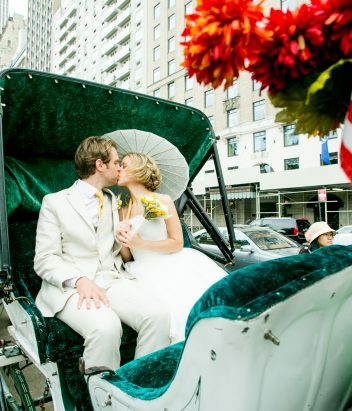 Experience a luxury wedding you could only dare to dream, in New York City.